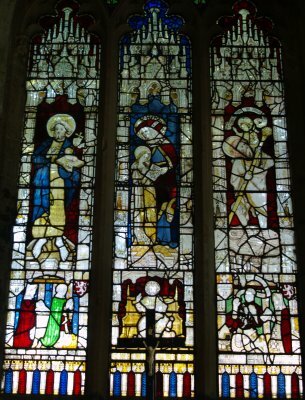 There is an excellent illustrated guide available in the church and the proceeds are always needed to maintain these fantastic medieval churches which are NOT museums, but working functional institutions serving their parishioners and need all the public financial support they can get. 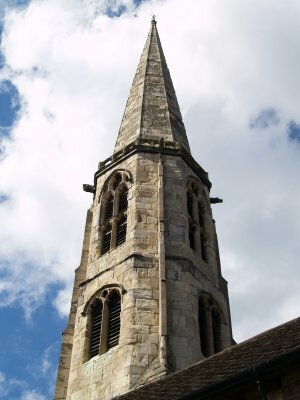 There are late 12th century interior sections, including reused Roman masonry, but most of the building of the Church of All Saints, York, including the 120ft spire, is early 15th century. 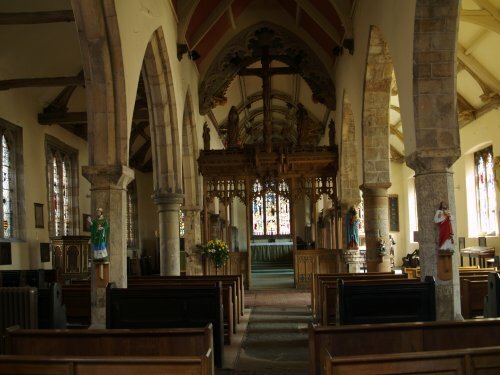 The roofs are quite old, adding to a real medieval atmosphere and a fine pulpit of 1675. 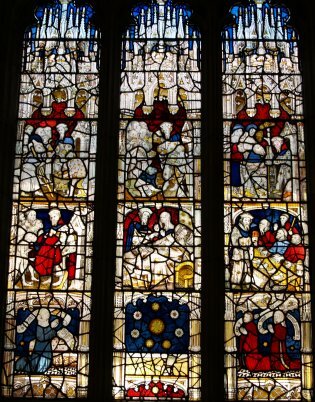 There is also some fine early 15th century stained glass in the west window. 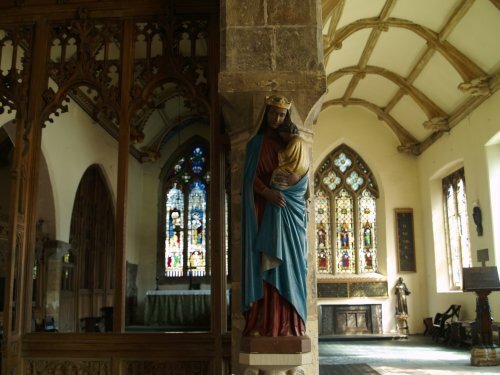 Looking down the nave to the chancel of All Saints Church, York. 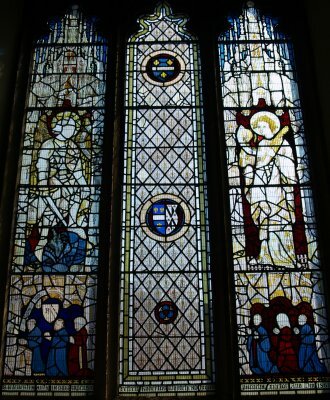 The first reference to a church on this site come in 1089 though there seems to have been a church here before the Norman Conquest. 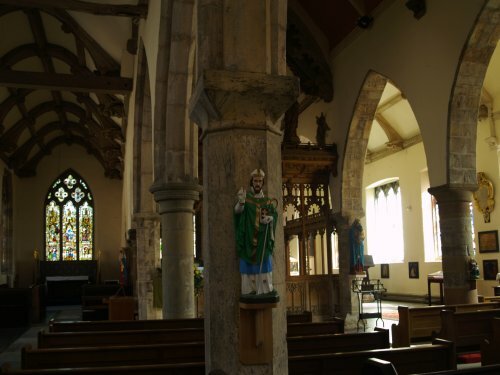 An aisle was added in the 12th century and in the 13th century the chancel was reconstructed in the Early English style. 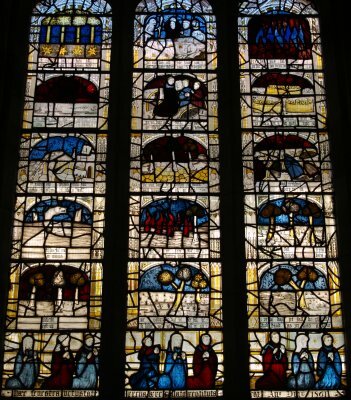 In the 14th century the east end of All saints was extensively rebuilt and the windows display Geometric and Curvilinear tracery of the Decorated period of Gothic architecture and the aisles extended eastwards. 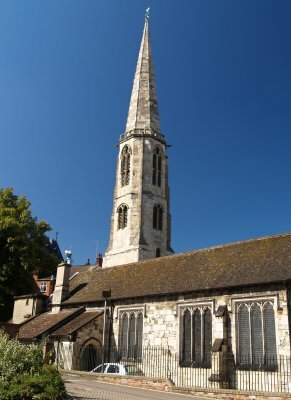 Most of the what you see now dates from the late 14th and early 15th century when the tower and spire were erected and the nave extended and the arcades reconstructed in what seems to have been a major rebuilding of All Saints Church. 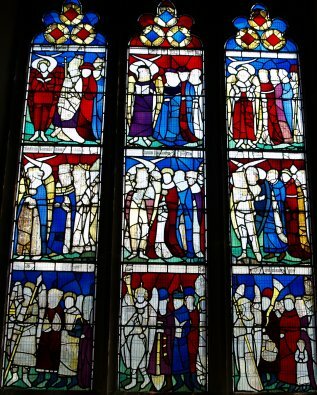 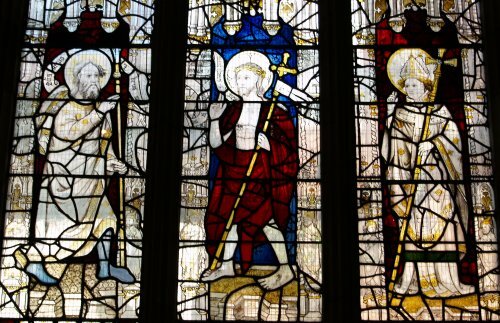 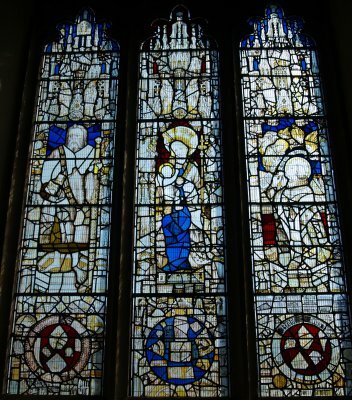 For each 'summary picture' (a) to (h) there are links to larger versions of the images for you to explore and notes about each set of stained glass windows. 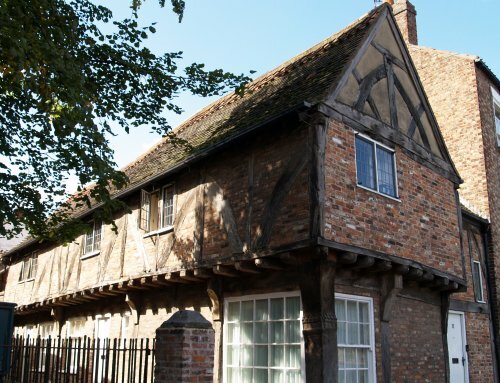 The remaining chantry house in North Street that provided All saints, and other medieval churches, with the clerical staff e.g. 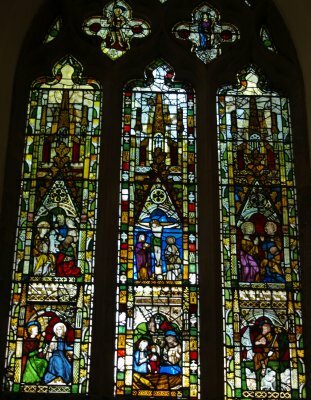 the rector, priests, parochial chaplin etc. 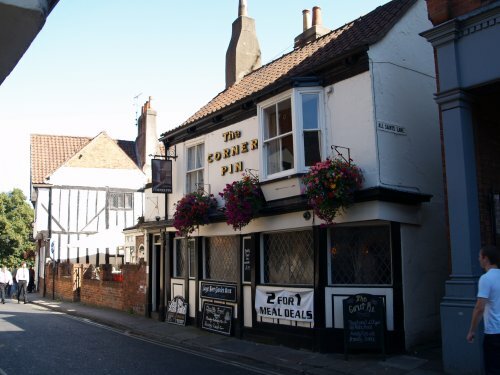 Just round the corner from All Saints is 'The Corner Pin', one of many old pubs in York.